Let Us Help With Any Attic Problem! We might be duct experts, but it's not the only thing we clean. That's right - when you need any help cleaning your attic, we are your team for the job! We offer professional and affordable attic cleaning and decontamination services, but that's not all! Read more about how we can help you with your attic here below. The insulation in your attic is bound to get degraded over the years due to pests, water, or aging. If it's not at it's very best, that means that your home isn't properly sealed up, and you'll see an impact on your energy bill. No matter if you need the insulation in your attic removed and replaced with fresh material, or simply installed, we can take care of it before you know it! Our experts can assist with putting it in new attics being built, adding some padding to what's there already, or otherwise. If removal is necessary, we'll do so carefully so that no particles pollute your home's air. We’ll even give advice on how to choose the right type for your home and can determine how much is needed to combat the climate of your area. Consider installing a radiant barrier! They easily bounce the sun's rays away from your roof, which can drastically lower the temperature in those hot summer months. 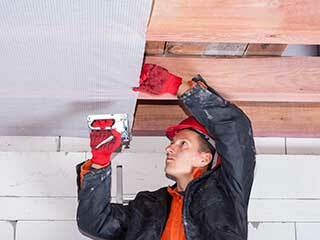 Attic air sealing can be done as well, which will be an added layer of protection against air escaping your home. It's important for your business' building to not only be energy efficient, but also be a comfortable place to work for your employees. Otherwise, you may be losing money both in energy costs, as well as low work output if they're distracted by fluctuating temperatures. If you've noticed that there seems to be trouble in these areas, insulation could be the cause! We can help you determine what the best fix will be and get it done quickly to cause as little of a distraction as possible. Don't waste precious energy letting the air you're paying for escape from your home or business! Instead, call Air Duct Cleaning San Jose now and we'll get to work. We'll take care of it before you know it, and help you save in the long run!